International line-up revealed for South Australian competition. The opening round of the Virgin Australia Supercars Championship, the Superloop Adelaide 500, will feature a Moto X Step Up competition for the very first time on 28 February-3 March. The street circuit opener has regularly hosted dirt bike disciplines alongside the on-track action, including endurocross and split-rhythm in previous years, however 2019 marks a new beginning for the sideshow event that will offer up a $40,000 prize pool. 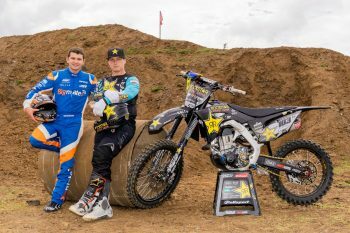 Boasting a stellar national and international line up, Australians and X Games medalists Corey Creed and Jarryd McNeil will be joined by American duo Colby Raha and Tom Parsons, as well as Libor Podmol from the Czech Republic. Moto X Step Up will see the bar increase in height, beginning at 36 feet and sometimes reaching 55 feet in order to secure eliminations. If a rider is unsuccessful in their two attempts they are eliminated, with the final remaining rider being determined as the winner.